Other conservatives used the report as political fodder to criticise the state’s left-leaning government. 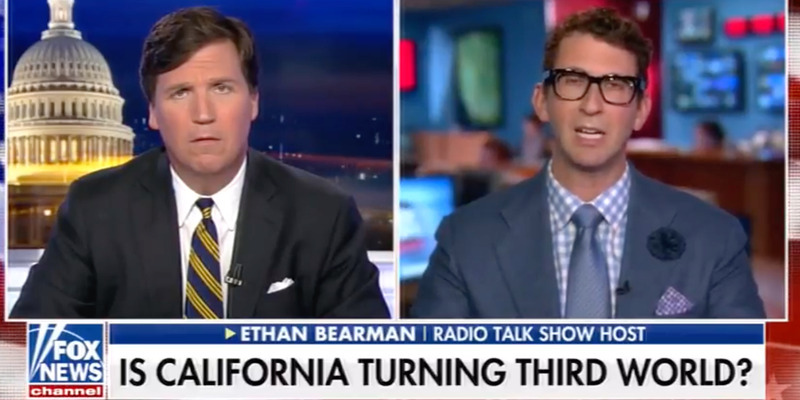 “How do you take a place that was as world famous as Eden and in 50 years, make it the worst place in America?” Carlson asked his guest, radio talk show host Ethan Bearman. 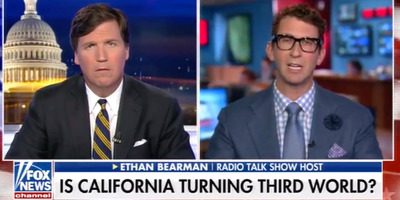 When Bearman suggested that overpopulation might be one of the reasons for California’s poor quality of life, Carlson interjected. “California Chaos: Drug Needles in the Streets,” one read. “Is California Turning Third World?” read another. In response to Carlson’s segment, California Rep. Devin Nunes, the Republican chair of the House Intelligence Committee, took to Twitter to blame California’s troubles on high taxes. Since the release of the state rankings report by US News & World Report earlier this week, some conservatives latched onto it as proof of what they believe to be the state’s failed left-leaning leadership. In other metrics, California didn’t fare nearly as poorly. US News & World Report deemed its economy the fourth best in the nation, and its business environment claimed the No. 1 spot. The state also ranked 11th in healthcare. In 2016, California lawmakers proposed spending $US2 billion to build shelters for the state’s homeless and to provide facilities for mentally ill people on the streets.